Israeli navy ships attacked, Wednesday, several Palestinian fishing boats in Gaza territorial waters, and kidnapped five fishers. 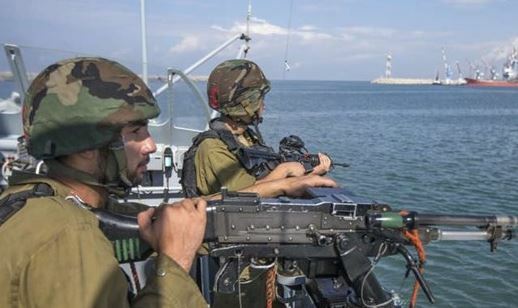 Israeli army vehicles carried out a limited invasion into southern Gaza, opened fire moderately wounding one Palestinian.Eyewitnesses said the navy ships fired rounds of live ammunition on Palestinian fishing boats, and surrounded them before kidnapping five fishers. The kidnapped Palestinians have been identified as Haitham Tareq Abu Bakr, Mohammad Tareq Abu Bakr, Hasan Mahmoud Abu Sam’aan, Hasan Abdul-Rahman Abu Sam’aan and Mohammad Ali Morad. They were forced into a navy ship, and were taken to an unknown destination. Also on Wednesday, soldiers opened fire on a number of Palestinian farmers in their own lands, east of Khuza’a town, east of the southern Gaza Strip city of Khan Younis. Medical sources said one Palestinian suffered a moderate injury, and was moved to a nearby hospital. In addition several armored military vehicles carried out a limited invasion into Rafah.